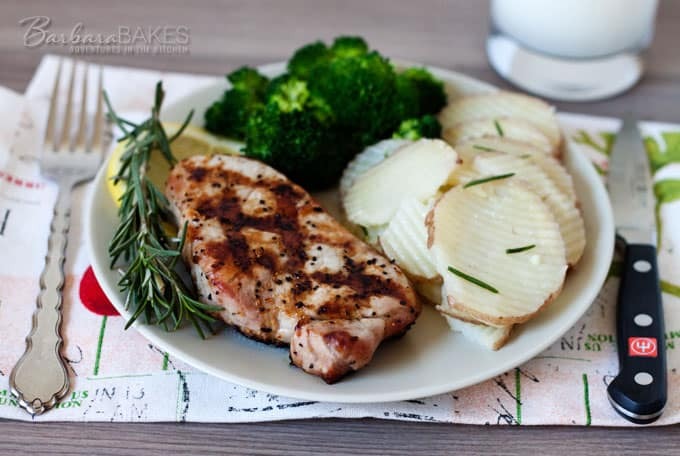 A perfectly grilled boneless pork chop seasoned simply with lemon pepper, lemon juice and olive oil. A quick and easy to make summer barbecue recipe that you’ll want to make all year round. Often in the summer life is so busy that it’s nice to have an easy, go-to recipe that you know every one will love. One that turns out perfectly every time and you don’t have to spend much time preparing it. For me this is that recipe. My favorite BBQ tools are tongs and an Instant Read BBQ thermometer that I always use to keep from overcooking the meat. Nobody wants a dried out pork chop. Preheat your barbecue grill on medium-high heat. 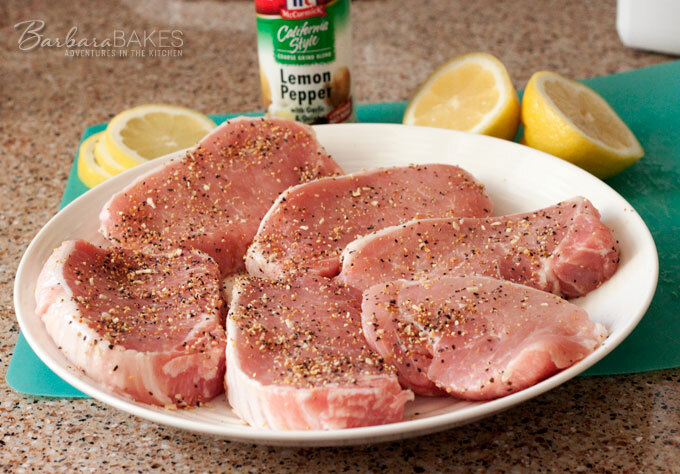 Sprinkle both sides of your pork chops with lemon pepper. Squeeze the juice of half a lemon over the pork chops. Flip the pork chops and squeeze the other half of the lemon over the other side of the pork chops. Spray or drizzle both sides of the chops with olive oil. 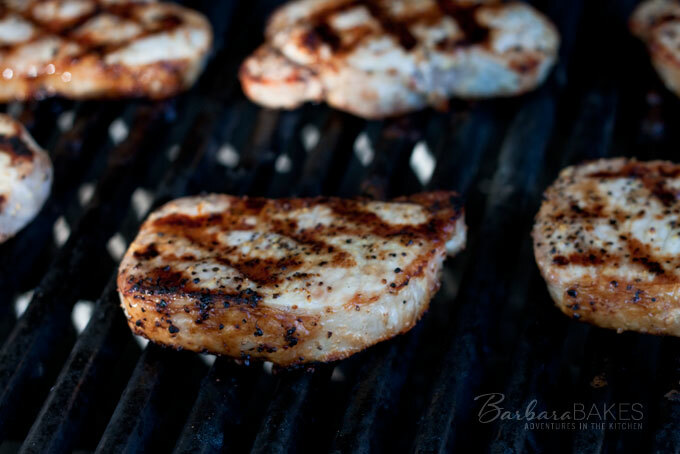 Cook the pork chops on the preheated grill until the chop has dark brown grill marks and releases easily from the grate, about 3 minutes. Rotate the chops 90° and cook 2 minutes more. Flip the chops and grill 2 minutes, rotate the chops 90° and cook about 2 minutes longer. 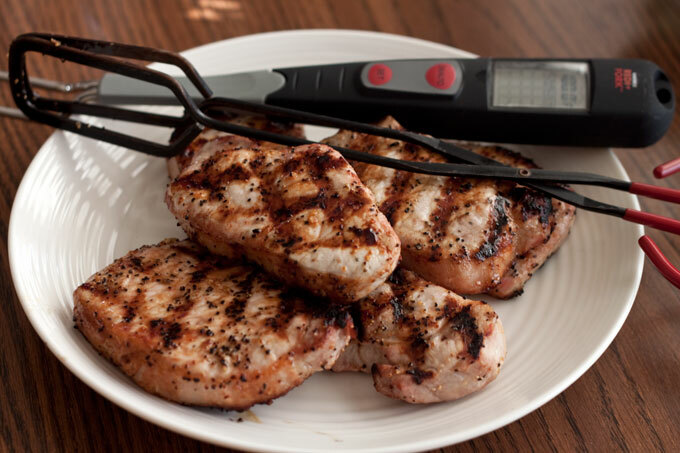 Insert an instant-read thermometer into the center of the chops to see if they are cooked to 145°, or cook until the center is no longer pink. Let meat rest covered in foil for 5 minutes before serving.